The GRE exam is administered by a company called Prometric. Unlike other standardized tests, this test doesn’t have fixed dates. They vary from day to day and from center to center. Some cities have only one center, so the exam has to be booked well in advance so the candidates get a date of their choice in a center of their choice. Hence, this test registration is more complicated than the other exams.The registration for the exam is a standard process. The instructions have to be read and re-read so one understands the process thoroughly. You can register for the computer based GRE exam online by logging on to the ETS website, by phone (call 1-800-GRE-CALL) or by mail. 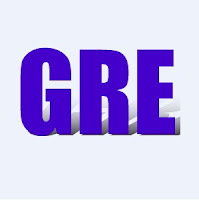 You can register for the paper-based GRE by mail or online. However, the paper based test is not available in every country. So, one has to check on the GRE website to see what type of test in available in your country. The GRE test takes 4 hours to finish, so do not have any other plans for till the evening of the test. Try to book the test at least 3 months before the exam. If you cannot, try to book at least 3 weeks prior appointment if you want a center and date of your choice. There is a facility to check what ever center is available for testing in your country and city, which is near you. The exam can be written only once a month, so make sure you book it well in advance so you needn’t take it again. When you complete your registration process, you will get a confirmation e-mail. The GRE costs about $190 in India, which amounts to around 8000rs. The test fee also includes sending the score sheet to four universities. If you want to send it to more than four, then you must pay per copy. For more than four copies, you have order them online or by calling the number on the ETS website. Make sure you carry identification on the day of the exam. For Indians, the passport is a compulsory ID proof for writing the exam. Remember to apply and obtain one at least 3-4 months before the exam as it takes too long to be delivered. Without the passport candidates are not allowed to appear for the test. Moreover, the name on the registration paper should match the one on your passport, so make sure you fill all details precisely. The GRE test can be taken only once every two months, so one should plan and take the test accordingly. Moreover, the exam cannot be re-taken more than 5 times a year. However, the paper based test can be re-taken how many ever times you want. Its been pretty important for the students to regard about all those prospects and evident details which must have been understood by the individual.